Single cover chosen by Xylander's audience. See Facebook for final cover and votes. For the cause of ALS awareness, Ellen Xylander accepted the Ice Bucket Challenge! Check out the hilarious and awesome video on youtube and www.facebook.com/ellenxylander. Xylander was challenged by former national swimmer and Scottish national strength coach and guitar player David Leith. Challenge passed on to Andreas Ravelli , Rex Pearson and Merete Gamst . Tuesday 22nd of July, Ellen Xylander plays live at Gustaf Bratt in Falkenberg, Sweden. Free entrance, table booking for restaurant. Torsdag 3.juli fra kl.12-13 er Ellen Xylander sommergjest i Radio Wake Up i Falkenberg, Sverige. Student-radioen og kanalen sender på fm 105,1 i Halland, Sverige. Her er link til nettradio-oppsett. Radio Wake Up webradio. Xylander summer guest in Radio Wake Up, Sweden. Ellen Xylander stiller med et stjernelag av musikere på årets Visfestival i Falkenberg, Sverige, 3.-5. juli 2014. Med seg i bandet har hun Miko Rezler på trommer, Ulf Vinyl Stenberg på keys, Henrik Aronsson på bass og stortalentene fra Falkenberg Benjamin Ønnhed på lead guitar og Andreas Lindh på gitar och backing vocals. Ellen Xylander er en av 12 artister til årets Visfestival sammen med blant andre Mikael Wiehe, Jack Vreeswijk, Lars Demian og Pernilla Andersson. Xylander går på scenen ved midnatt 4.juli i den nye konsertarenaen Tryckhallen. For billetter, trykk her. 2 days after her pre-release concert in her home town, Lier, Ellen Xylander followed up with an intimate concert in Lier 14th of June. It was an amazing and special night in Lier when Ellen Xylander and her band, gave her hometown audience an outdoor concert and pre-release of Xylander's forthcoming album, "Unbeatable". Photo: Lars Pederesen. From Xylander concert 12th of June, 2014, at Toget pub in Lier, Norway. The venue reached a visiting high. Ellen Xylander performs at Nordic Startup Awards at Edderkoppen theatre in Oslo, Thursday 22nd of May 2014. The award show celebrates the best entrepreneurs in the Nordic countries and the Nordic ingenuity and entrepreneurial spirit across the startup ecosystem.Tickets here. Ellen Xylander will be on tour in France in April, and give 14 shows in Paris 5th-15th of April. Hosted by Crous de Paris. Ravelli spring/summer collection is now available, with Ellen Xylander being one of the models showing the collection. See Ravelli.com here. Post by Mathis Ek Mathisen. 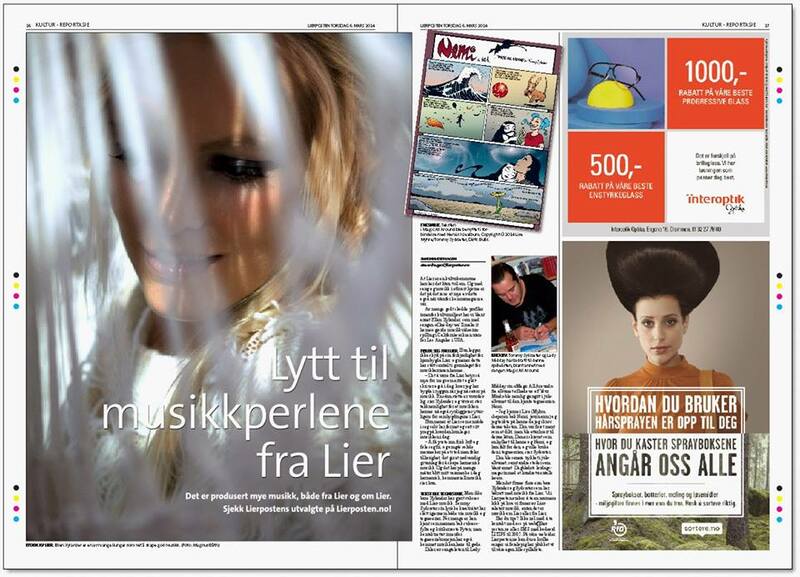 Lierposten, Interview about Lier 6th of March. Ravelli is soon to launch their Spring 2014 Collection with Ellen Xylander as one of the Ravelli-models. Xylander will be fronting Ravelli's first clothes collection, an exclusive line of active wear, and the acclaimed brand of the Swedish sports legends Thomas Ravelli and Andreas Ravelli. Ellen Xylander will be attending this years MIDEM, Cannes, 1st-4th of Feb, as a part of the delegation from Music Norway. Ellen Xylander is pictured in the February issue of the Norwegian man magazine MANN. A feauture about Crossfit.